The NFL’s version of the targeting rule came out in full force in Sunday’s game between the division-rival Carolina Panthers and Atlanta Falcons. Starting for the injured Keanu Neal, second-year Falcons safety Damontae Kazee laid this incredibly dirty hit on Panthers quarterback Cam Newton. There’s nothing good about this at all. Newton had given himself up, at which point Kazee decided to go head first in tackling the former NFL MVP. This is precisely why the league put its current rules into place — to protect the quarterbacks. Kazee was in fact ejected from the game. It led to some pretty big reactions on the Twitterverse. Suspension coming in Atlanta. Terrible shot on Cam Newton by Kazee. He should be ejected. Kazee could also be looking at a suspension. Very bad situation for a depleted Falcons secondary. Damontae Kazee, who laid out Cam with an absolutely dirty hit, was the guy in the lineup for Keanu Neal. Falcons down to their third-string safety after Kazee was ejected. 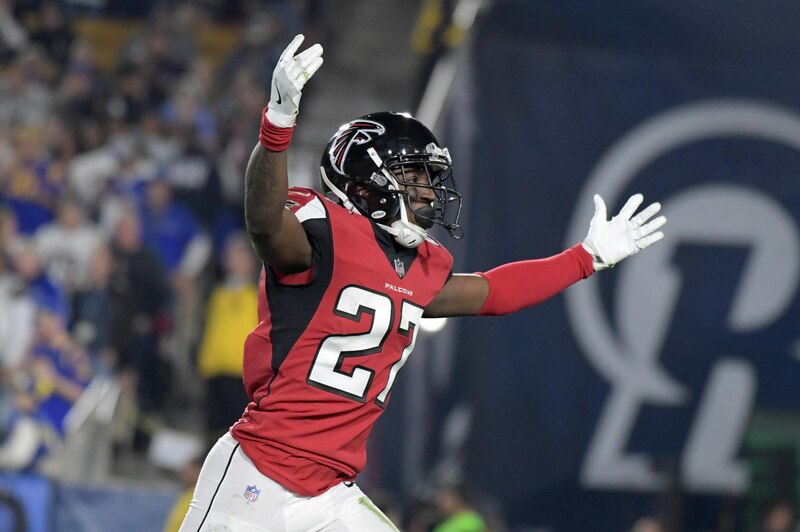 Kazee is a game changing loss for Atlanta. Beer guy playing safety now. Kazee needs to be fined half of the money he makes this season. Not a fan. Play smart! Already down two good defenders.